A common reason why people start a business is to get an extra income stream beside their day job. They don’t want to be fully dependent on a employer. Having a day job does give you a false sense of security. It looks ok, a steady contract, but usually when a employee gets sacked he or she has nothing to fall back on. Having a small business will give some control over the events in your live. You’re able to create wealth and a minimum cash flow to pay your monthly bills. Yet, are those small businesses real companies? I usually see that people are part of an affilate program, like with Amazon. Or they sell designs on Zazzle t-shirts or Apple iPad cases. Or their business is a blog with Google adsense. Starting an online company which sells physical products or services is much more rare. I think that what most people do online is starting a homestead. There is nothing wrong with a homestead. In the olden days you could get a plot of land for a small fee from the government. You only had to build a house, work the land and stay there for a couple of years. Of course if you could get a plot of land close to a future metropole you would strike rich. Like all the good dotcom domain names are long gone. The rest of us have to settle with an “ok” plot of land a bit of the beaten track. A not that easy to find domain name. And like a homesteader we have to stick with it for years, work the land and hope for the best. 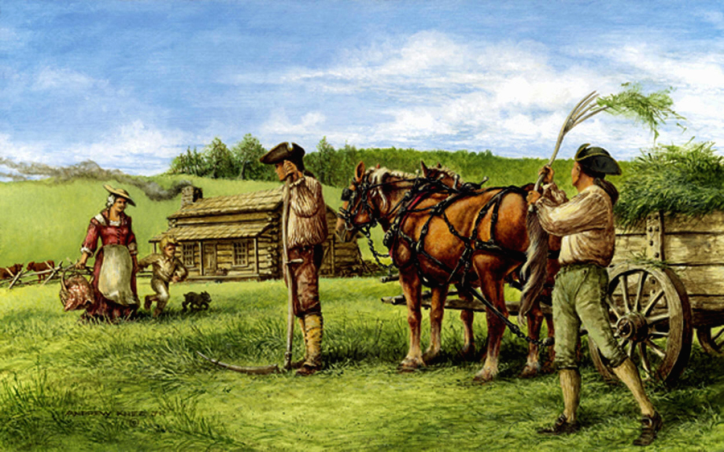 Just like a homestead, the website can be used for many economic activities. Whatever works best really. Because that is what we one person businesses do when we are making money onlne. The internet is our land of which we got a small plot. We have to prepare the plot, sow seeds, tend the crop. Oddly enough our crop is customers, of those we have to make sure we have plenty and that they’re well taken care off. I’m in it for making money online. Not for getting a brick and mortar shop. Nor in keeping a staff of employees. The only reason for this website is to get my plot of land and try to create an income stream with little investment upfront. Over time it should provide me a notion of financial independence. Just like a homestead, but then digital.